As a grad student, I have to make our budget go far. Searching thrift stores helps a lot. Every once in a while, I am lucky and find something amazing at the Goodwill or another thrift store and feel the need to share it. Supposedly it’s fall somewhere. Not in Oklahoma. Here, we are still experiencing 90 degree weather days as the norm. However, that doesn’t stop me from looking forward to fall weather, warm sweaters, scarves and tall boots. The Oklahoma may be taking it’s time to let fall in but that won’t stop me from getting my fall wardrobe in order on the cheap. I went to Goodwill and found some sweaters for $3.49 each and needless to say I skimmed the aisles for the best ones and loaded up. Granted I haven’t been able to wear them because it’s summer hot here but soon. Soon it will be fall. 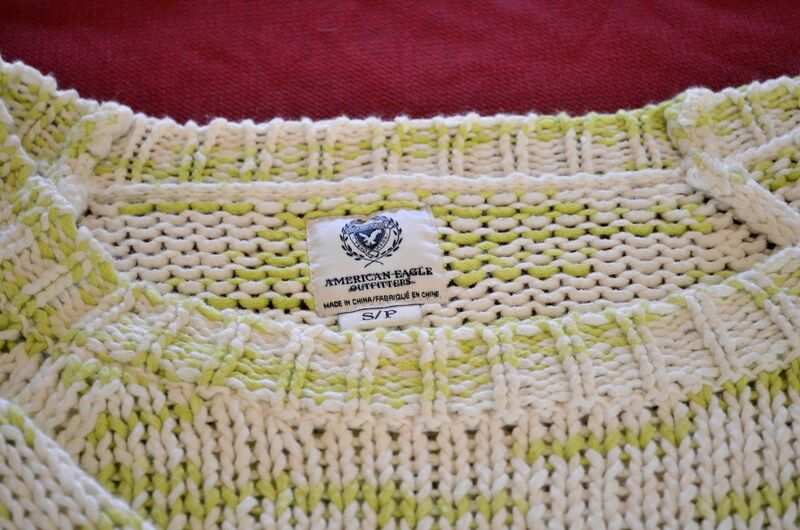 This knit sweater is off white and my favorite shade of green. I love the details of the sweater. I don’t usually wear American Eagle because they plaster their logo everywhere and seeing as to how I am not in middle school anymore, I don’t wear logos on my chest. However, I do like American Eagle especially when I can get it for less than 5 bucks. 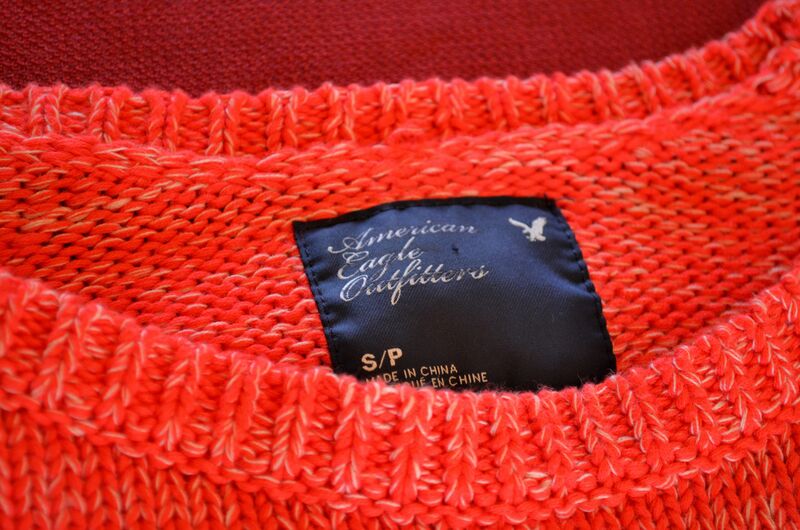 This box knit sweater is also from American Eagle. I love love love this red color. These picture doesn’t really do it justice. It has the same detail as the cream and green sweater. I adore the neckline of this sweater. As well as the box cut. I got a chance to wear it for real and not just to take pictures a few nights ago and paired it with a long white tank. Fall weather may not be a day thing yet but at least it can claim the evenings. I also picked up up this sweater. 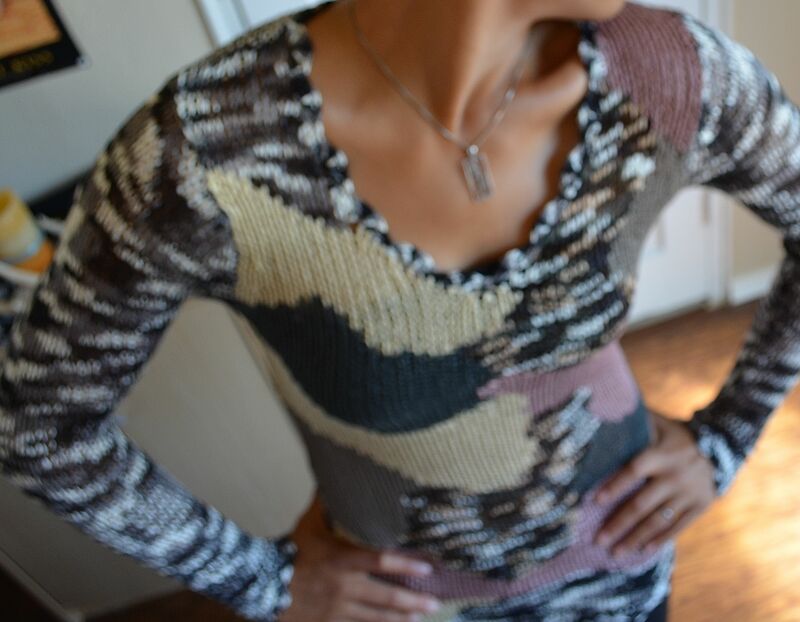 The picture is blurry but I love the crazy pattern of neutral colors and the little details. And finally my favorite purchase of the day. I am OBSESSED with this. 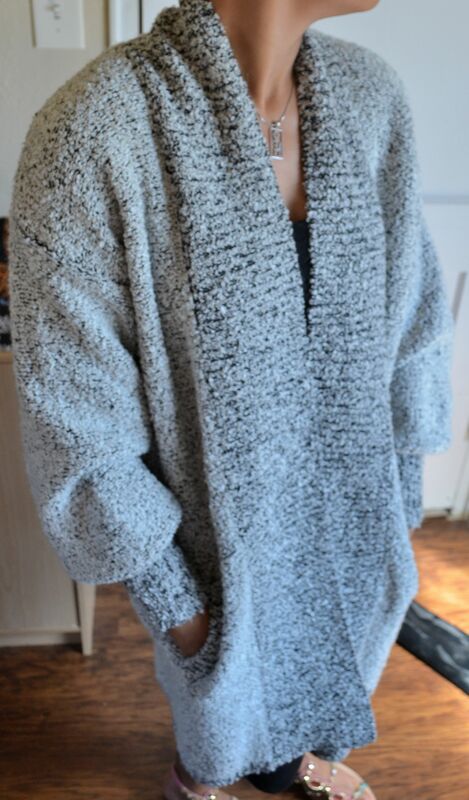 It’s long, it’s warm and it’s super comfortable. The angle of this picture makes it appear longer than it is but it stops a little past my knee. 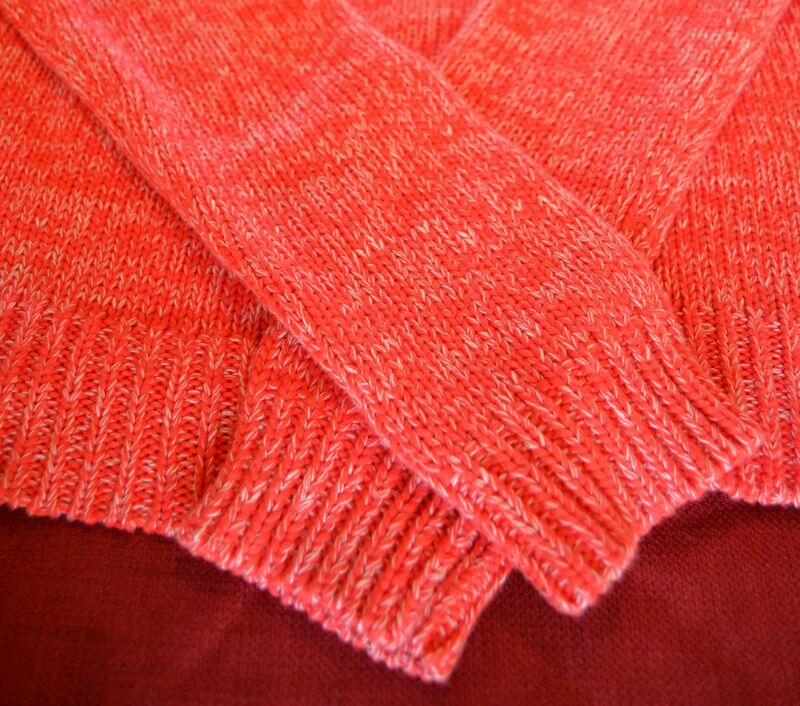 I am excited about this sweater top because it will be perfect for the days when it’s too warm for a winter coat but too chilly for just a shirt or light jacket. Urban Outfitters is currently selling a similar style top for 80 bucks! If you haven’t already, I highly recommend going to your local thrift shop and loading up on some warm clothes. Winter will be here before we know it. Sonni, these are some great sweaters for fall! Great finds! Your favorite purchase is also my favorite!